On The Daily Post, we try to instill a daily blogging habit in each of our readers. We’ve gotten to know many of you — your avatars, your blogs — and are reminded each day that our community is full of many different stories and voices. Some of you want to take your craft of writing to the next level — you might be a seasoned daily prompter ready for something more, or want to experiment with different aspects of storytelling, from considering your setting and point of view, to developing your characters and dialogue. So, welcome to Writing 101: Building a Blogging Habit. In these twenty days, we’ll dive into the elements of storytelling, help you cut through writer’s block and — as Natalie Goldberg teaches — access the pure thoughts and ideas of your wild mind. 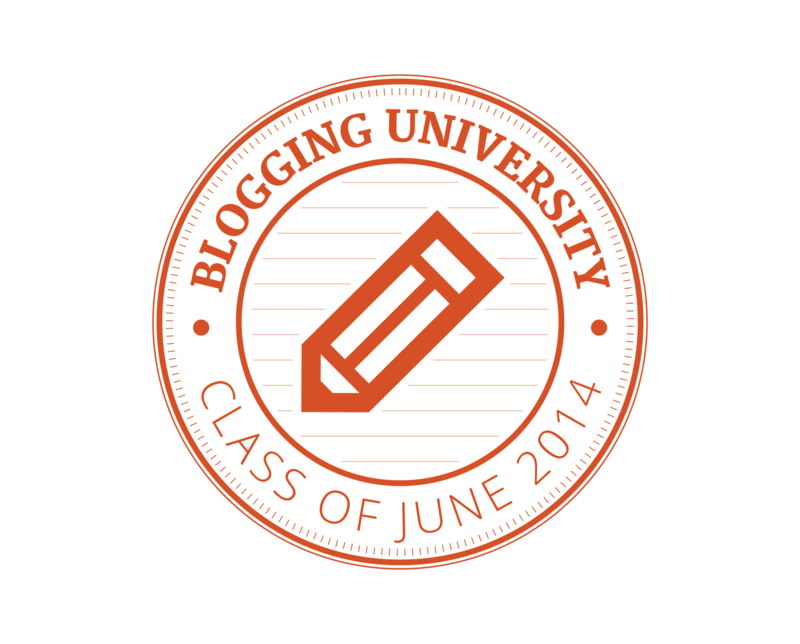 Also, here’s the official Writing 101 badge for your June 2014 course (original size / small size) to display on your blog. If you need instructions, check out this image widget support page. Remember: if you choose to publish what you write today, do so on your own blog. Feel free to leave a link on The Commons, seek feedback there, or just visit to chat and make friends, but your challenge posts should go on your blog. If you registered on Friday or over the weekend, you’ll receive your welcome email and Commons access today. My blog is in German … so is it ok if I post it in German, or should I translate it – or write in English? I’m really not sure … I’ll just write and see what comes. You should write in the language you wish to — though if you want feedback from fellow participants, you’ll probably want to write in English so they can follow along. Hi Zarah 🙂 I am German too, but I am writing my blog in two languages 🙂 I am not sure, so you should probably see and wait for what the Writing101-Team says but I personally do like the idea that responding posts can be in a different lanugage. I also don’t see why they shouldn’t. I mean… this is all for fun and an offer to help to create a writing habit, isn’t it? Funnily enough as a preparation to this course I followed my stream of consciousness already yesterday. I was trying to find the right way of saying what we are looking for in our arts project on “what-ifblog.net” in regard to our community. The post has been on my mind for some time. Please, have a read and let me know what you think. Our topic is “identity” in an artistic, personal, cultural and social sense. There are so many angles to it, that I find it a challenge to reveal all the options of it. Especially since the audience I talk to is not personally known to me. If you like to share anything about what makes you the person you are, or how you want to develop, please, let us know. Thank you and happy blogging everybody! I love how this post is so welcoming — the questions should spawn some good discussion on the site and oftentimes, getting a conversation going can be tough. You’ve offered a lot of food for thought. Thank you, Krista, the blog has been an adventure so far. By the way, I follwed the blogging 201 challenge before which was very rewarding. I’ve already got a lot of good hints by The Daily Post. And I am continuously roaming the many posts on wordpress, gathering inspiration. Sometimes, I think that when I’m stuck, it’s my internal editor getting in the way. Letting go, and letting that internal editor take a vacation, seems to help a lot. This is the frst time I tried ti write this way.. But this is the best hint I ever got for my writing! Thank you much for that and for this assignment! This is only the first day and I am already taking a new step! I am glad I joined this challenge. That seems useful. I’m always inpresed when I look back at my old ideas! They provide a significant amount of inspiration and if you use it right your broblem is solved! Ideas for writing may be fleeting like shadows or arrive running in packs. Free writing: What do you think? This was really great, thanks for sharing. Wow — I loved the addition of the photos! I’ve invited you to the Commons, Naomi — enjoy the program! Me, too! (jumping with hand raised..) Please? Hi Krista! I signed up for Writng 101 a while back but don’t have access to the commons. I’d like to be invited, too, thanks! @Hermionejh and @Maria Brinkley: I’ve sent you both invitations to the Commons. Have fun! I can’t access the commons either, I did sign up a week or so ago and again today (in case I’d done it wrong) – what should I do? On a separate note, I really like the tip about ‘loosening up’ – trying to be too specific and prescribed used to be the cause of writer’s block for me! Hopefully I’m a little more relaxed now and just get started with writing a post instead of thinking too much! It is a fine line, because perfectionism can be the enemy of creativity. But restricting what you say can also enhance the creativity (ie with prompts). However, free writing is just for yourself if you want. 🙂 Don’t try to say every little thing right, I have been there and it isn’t worth it. When you write as much as possible in every way possible, you’ll start to figure out what works for you. Just a year ago I would be miffed at what to say for a whole 20 minutes. Today, the time just flew by! Write for yourself, too not just your audience. 🙂 Hope this helps a bit. Never be ashamed to tell your story, you go girl! thanks for this. expressing hidden feelings we as people never feel like it is okay to express I feel must be so important a thing to do. Since I am building a blogging habit prior to having a blog, there is no where to publish. Not that I am complaining, the exercise itself is helpful. Any tips appreciated. Why not start a blog as a place to capture all your writing? If you don’t want anyone to be able to see your writing, you can always set your blog to private. I agree with Krista, there is no time like the present! I’ve had no invite as yet to join the Comms. I signed up last Thursday. Can you send it over to me please. Many thanks. Added you to the Commons! I’ve only experimented with free writing once before so this was a fun introduction to the challenge! Just sent an invite to you. not too bad. a lot of interesting description. all that exercising and eating right definitely doesn’t sound easy! Enjoyed your post — kids really do grow up too fast. I already started free writing last week (after I read Anne Lamott’s book), I thought it might help me to find something inside, some ideas etc., and I think it works, at least on psycological level, but I don’t understand what is the point to publish such raw material? Who would want to read it? And why would I like to share it? It could help give you inspiration later, and give some of your readers more inspiration as well. To you it might seem pointless, but remember that some people find inspiration in the wierdest places. I don’t understand what is the point to publish such raw material? Publishing your free thoughts and raw material is the post twist — and totally optional. But free writing in general is so important, I think, especially when left in draft form (as I’ve noticed in my own writing: http://writingthroughthefog.com/2013/05/09/found-poetry/). Sometimes, though, when you publish the raw, incomplete stuff, other writers might see patterns and gems where you *don’t*. That’s the beauty of writing online and the process of workshopping material. because there might be something you are hiding from others, parts of yourself you want to censor. I know I do. and by not censoring you are challenging yourself. This was a fun assignment. I do my best writing at night, so this was perfect. Here’s the results! Oh I loved it. Very ‘Jekyll & Hyde’-ish. I signed up a couple weeks ago (and again today in case there was an error or something), but have not gotten an email to access the Commons. Thanks for your help and for setting the challenge up! Sometimes the invitations get lost in spam filters — I’ve sent you a new invitation to the Commons. No problem. Thanks, I got it! Amazed at the randomness of my thoughts! I wrote a new poem that came to mind..I just went with what my mind had to say. It’s a first draft of something I hope to improve on, go ahead and take a look. I’ve added you to the Commons! Btw, love the illustration in your blog’s header! Gee thanks! Actually, I found it lying somewhere in my computer. Thought I used it, since it made a nice header. Size and all. I often engage in free writing, when I can’t think of what to write. It is a good exercise for my writing muscles I feel, but I rarely post what I ‘free write’. So this is a novel experience. somebody please help me with my problem. Actually i wanted to know if we were to write where should we post the article and the second of all what is actually the topic as i am not able to understand..
Today’s assignment is to do a free writing exercise — that means just write whatever pops into your head for a period of time. Don’t censor yourself, keep writing until your time is up. You can choose to write for 5, 10, 15 minutes or as long as you want. Write posts on your own blog. we have to tag the post what? You can tag the post “writing101” if you like. No worries — there is no set length for this! I tried to set a timer for 20 minutes but I felt like on some kind of exam, and my brain stopped working. I’ve felt this way before — I was asked to let go and just write what came to me, and I froze. Then I ended up writing about why I froze, and what that felt like, even though it felt like I was babbling to myself. I ended up somehow then writing about a time when I completely blanked in the middle of a job interview, and how I don’t like being put “on the spot,” and then before I knew I’d written over 1,000 words on feeling frozen. Yep, I know that there was no time restriction, but as an option it completely knocked me down. 😉 Thank you for your comment, today I hope I will do better. You’re more than welcome to share your link here or in the Commons. You might get more feedback on your work in the Commons, as it’s a private blog just for challenge participants, and people might be feeling a little more comfortable there. Writing 101 Starts June 2!